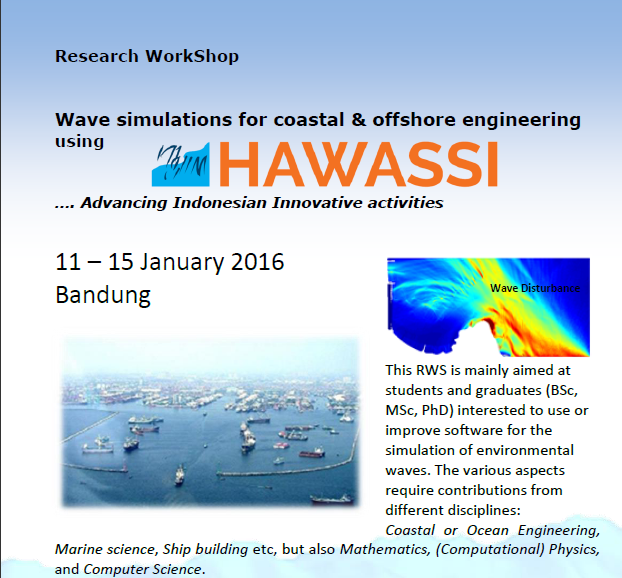 Coastal or Ocean Engineering, Marine science, Ship building etc, but also Mathematics, (Computational) Physics, and Computer Science. 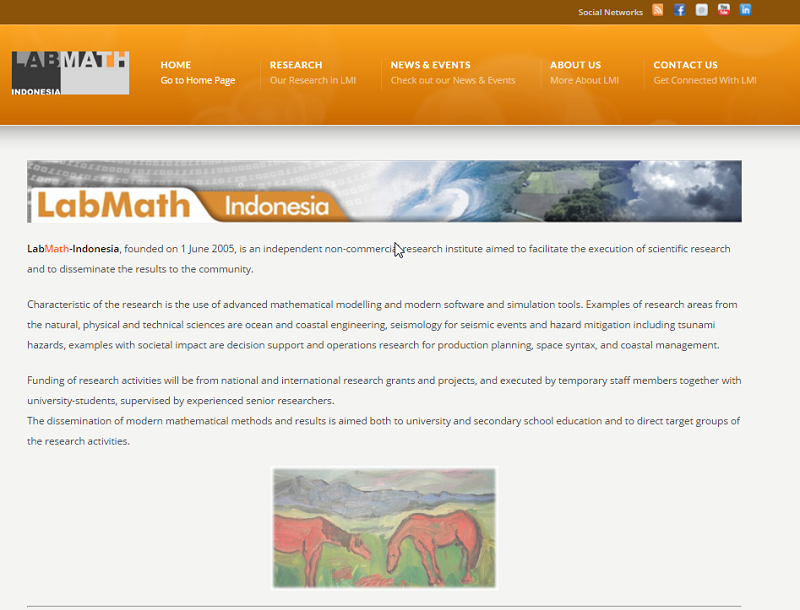 Welcome to the new website of LabMath-Indonesia : www.labmath-indonesia.org ! In the website, we hope we can present more clear information for you. We are looking forward to collaborate with you ! Laboratorium Matematika (LabMath) Indonesia was founded on 1 June 2005, is an independent non-commercial research institute aimed to facilitate the execution of scientific research and to disseminate the results to the community.